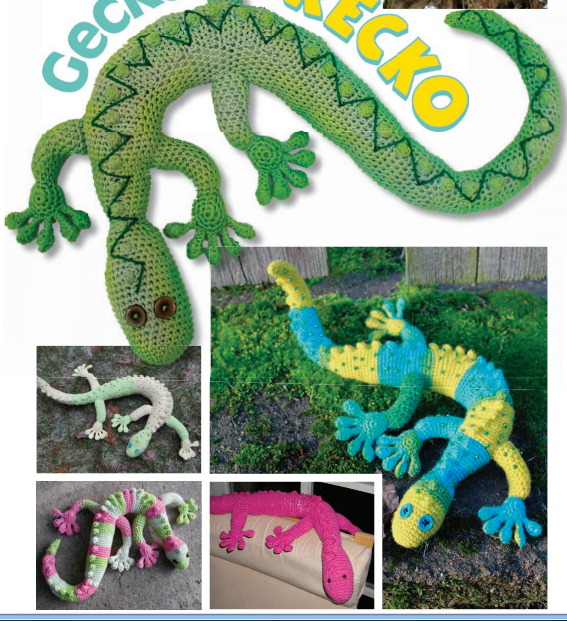 I cannot think of any child who would not love this precious gecko! He is so adorable! 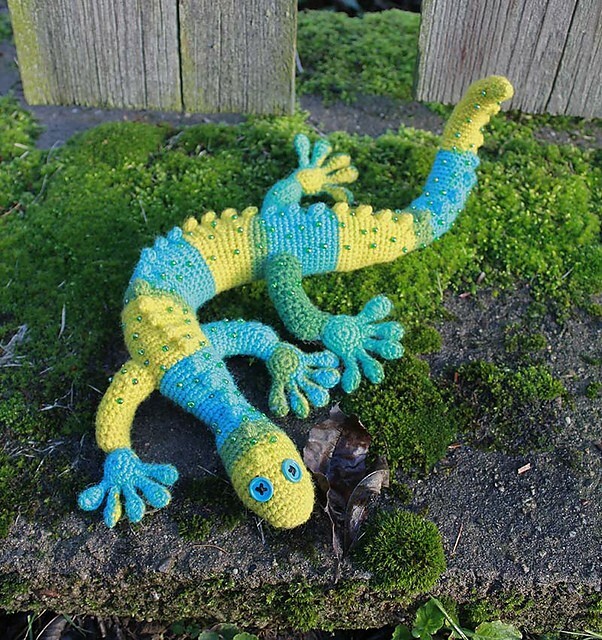 This Gecko Frecko by Raphaela Blumenbunt is one of those rare patterns that will appeal to both boys and girls of all ages. The design is excellent and the color options are endless. You can choose any yarn you like. have holes that show the stuffing. Thanks to Raphaela for the article inspiration and featured image. That’s really cute. I may have to make one. Or three. I love this pattern. Right now I have a great gecko with no legs. I am having trouble with the feet. The foot sole is fine. The trouble comes with trying to join the sole to the upper part. Can anyone please clarify the instructions? Thank you. I need help with that too. I am stuck on round 15. I keep getting 28 sts instead of 27 – where am I going wrong? We don’t own the pattern, we only feature the patterns we love and recommend them and where to find them. Sorry, we cannot email it. Is there a tutorial? I cannot figure out sr 37, sr 38 , sr 39 and rd 40. . What is meant by “(now continue into the stitches which lie below) 3 single crochet. What? By turning and not completing a round, am I to leave a space? Does line 40 then attach to line 39? Leaving a hole? Tell me there is a tutorial. I am 65. 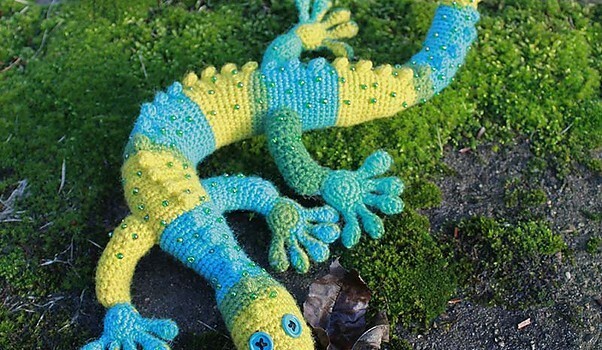 I have been crocheting since I was 7 years old.